The screening will be followed by a dance party with booty-shaking jams provided by Mama Grows Funk. Get ready to get down on the dance floor with Mama Grows Funk after the screening of A Tuba to Cuba. 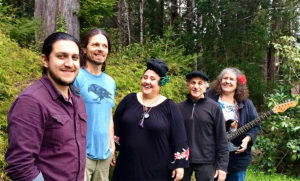 Mama Grows Funk is Pilar Duran, Rob Marcello, Ui Wesley, Gabriel Yañez, & Paul Schulman. With a refreshing mix of both seasoned veterans and budding upstarts, Mama Grows Funk brings a potent mix of funk, R&B, Latin, and soul influences aimed at uplifting spirits, getting feet to move and making bootys shake. If you miss the film, tickets to the dance party will be sold at the door, subject to availability. The leader of New Orleans’ famed Preservation Hall Jazz Band seeks to fulfill his late father’s dream of retracing their musical roots to the shores of Cuba. Join the band as they traverse post-embargo Cuba in search of the indigenous music that gave birth to New Orleans jazz. Encounters with some of Cuba’s most iconic musicians lead to spontaneous and soulful collaborations. 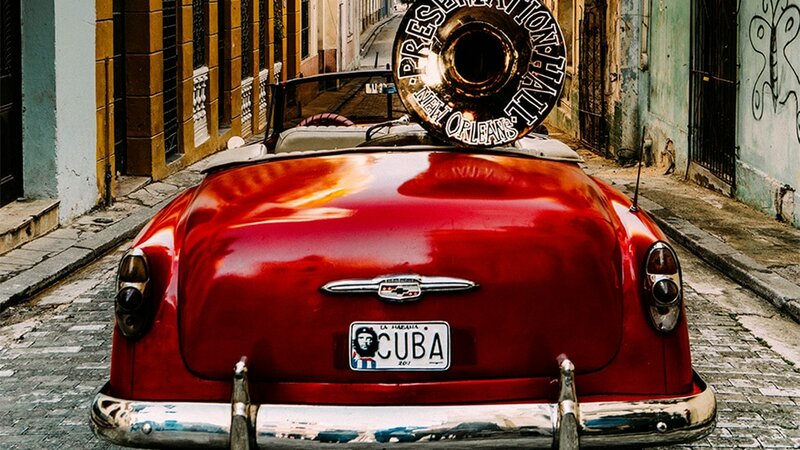 A Tuba to Cuba celebrates the triumph of the human spirit expressed through the universal language of music and challenges us to dig deeper; to find that common ground we all have inside us, and there, resolve to build bridges, not walls.